In 1988, after less than 10 years in journalism, Gao became the deputy editor of Economics Weekly, a publication edited by dissidents and scholars. Her involvement in the 1989 Tiananmen Square protests led to her initial arrest. Gao served 15 months in prison before being released due to medical issues. 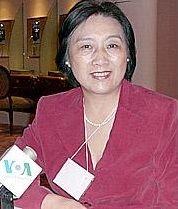 In October 1993, Gao was arrested for “publishing state secrets” and sentenced to six years in prison in November 1994. She was released on medical parole in February 1999. Most recently, Gao went missing in late April 2014 and was later reported to be criminally detained. Her arrest came weeks before the 25th anniversary of the Tiananmen Square protests at a time when several other democracy activists and human rights defense lawyers were arrested. According to a public letter from Human Rights Watch and Amnesty International, Gao suffered from “chronic heart pain, high blood pressure, an inner ear disorder … and an undiagnosed chronic skin allergy.” Since her imprisonment, Gao’s health has declined. Gao was born in 1944 in China’s southwestern Chongqing municipality.